This past Friday, I finally got a chance to do so. Was it the best pizza I’ve ever had? Um…not quite. But it was very good. Let’s get this out of the way: When you think of Chicago pizza, you think of thick crust, deep dish pies, right? AJ Barile’s has thin crust. But, oh, what a crust! It’s become an annual tradition, like doing one’s taxes or getting a physical…only a heck of a lot more fun. Yep, it’s Baskin-Robbins’ 31 Scoop Night! Not only can you get up to three scoops of delicious Baskin-Robbins ice cream for only 31 each (at participating locations), but the Baskin-Robbins Community Foundation will donate $100,000 to the National Fallen Firefighters Foundation, an organization which honors firefighters who died in the line of duty and assists their families and coworkers. In addition, some locations are collecting donations for local fire charities. So head on over to your local Baskin-Robbins ice cream shop from 5 to 10 p.m. tomorrow night (April 28) and get your scoop on. Of course, don’t forget to tip generously, and if they’re taking donations, dig deep! Thanks, Baskin-Robbins, for the cheap treats and the good will! Free breakfast! Free breakfast! Free breakfast! This time the free meal comes courtesy of your local Subway shop. From 7 to 11 a.m. Tuesday (April 27), participating Los Angeles-area Subway restaurants (yes, that includes Riverside and San Bernardino counties) are giving away an English muffin melt and an 8-ounce beverage. No coupon necessary and no purchase necessary, according to the Fresh Buzz email. I have to admit, I’ve never had breakfast at a Subway. This offer is pretty tempting. I seem to recall they’re one of those who started offering breakfast items in the wake of Starbucks’ foray into the breakfast arena. You can even get a wake-up call reminder — so you don’t miss out — by clicking here. You’ll probably see me there, as long as Sergeant Sunshine wakes me up in time! In Friday’s paper, Allan Borgen reviewed Christophe’s of Upland, which was greatly anticipated when it opened last year. Perfect timing, since Upland’s Lemon Festival is this weekend. What a way to kill two birds with one stone…visit the Lemon Festival and dine at Christophe’s! Did Allan like Christophe’s? I’ll say! Five out of five stars. Elsewhere, Elaine “Lunch with ‘Lainey” Lehman heads to Yucaipa to have lunch at the Kopper Kettle Kafe. From her review, it seems like a perfectly fine place to have lunch. You can read for yourself here. Speaking of Yucaipa, Friday I had lunch at one of that city’s most honored restaurants for the first time…but you’ll have to wait a couple of days to find out which restaurant and to read my take on it. Stay tuned! Happy 25th anniversary to Dairy Queen’s Blizzard! This year, Dairy Queen is celebrating the 25th anniversary of its game-changing Blizzard treat. America’s waistline has never been the same. Of course, since then, the blended soft-serve and sweet stuff concept has been copied by other establishments: McDonalds’ McFlurry, the Sonic Blast, Tastee Freez’s Freezees, Fosters Freeze’s Twisters and Wendy’s Twisted Frosty, for example. Well, this week (April 19 to 25), you can get a second Blizzard for 25 when you buy one at regular price (at participating locations, naturally). There’s no indication that you need a coupon, but there’s one here if you want to be on the safe side. So, bring a friend or a date and share in the dessert that has its own fan website. Also, Dairy Queen has sent out a Blizzardmobile on tour, dispensing free mini Blizzards and doing other promotions, but of course, it won’t be coming to the Inland Empire. The closest it will get will be Los Angeles on July 9 and 10. Dairy Queens can be found throughout the Inland Empire, except in Yucaipa, but they’re getting one soon. Free stuff! Free stuff! Free stuff! Starting with today’s giveaway from Starbucks. In an Earth-friendly mode, the coffee giant is offering free brewed coffee to anyone who brings in a reusable travel mug to hold said coffee, More information here. The day after that is Fry Day. 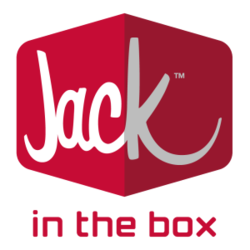 Jack in the Box has revamped their French fries yet again, and is offering them free for the asking on Friday (April 16). No purchase necessary. Of course, the usual caveats: Participating locations only; one offer per person; small fries only. But it is free, so you’ll probably see me there. Click here for more info. Neighborhood market fresh & easy is also getting into an Earth-friendly mode by offering a free canvas shopping bag for customers who spend $20 or more (excluding alcohol, dairy and gift card purchases). The coupon is available in this week’s flier and also available here. The last freebie comes to us from an anonymous reader who tipped us off on the fact that The Coffee Bean & Tea Leaf will be giving away its new bottled drinks during lunch time for the last two weeks in April. From 11 a.m. to 1 p.m. Saturday (April 17) through next Friday (April 23), the coffeehouse will be handing out full-size bottles of its new bottled coffee drinks (latte, mocha or vanilla) with purchase of a lunch or bakery item. The following week brings free tea drinks (jasmine pearl, honey rooibos or peach assam) during the same time period. For more info on the new bottled drinks, click here. OK, we’ve done our job. Now go forth and get your freebies! I have risen from my sick bed to give more details about Dine 909’s trip to fresh & easy HQ on Thursday. The reason for the trip was a preview taste test of items from their new Eat Well line of prepared foods, which launches tomorrow (April 7). A number of fresh & easy customers have requested that their prepared foods have a more health conscious alternative. fresh & easy already puts no artificial colors or flavors or added trans fat. The new line ups the ante. Each item in the Eat Well line contains no more than 25% of the recommended daily allowance for calories, fat, saturated fat and sodium, based on a 2,000-calorie diet. In general, I liked Eat Well and would definitely be adding them to my basket next trip. Spicy tuna sushi square: Almost universally liked by all the invitees, it consists of layers of brown rice, roasted edamame, gingered carrots and a nicely-flavored spicy tuna mix. $3.99. Teriyaki salmon: In a word, delicious! It’s a grilled salmon fillet on brown rice, with bell peppers, broccoli and teriyaki sauce. $4.99. Farmer’s market salad: OK, it’s just a salad, but the combination of spring lettuce mix with garbanzo beans, cucumbers, grape tomatoes, carrots and yellow peppers was a hit. I think it was the low fat lemon hummus vinaigrette that put it over the top. $3.99. Veggie hummus wrap: A sun-dried tomato tortilla filled with bell peppers, carrots, cucumbers, spring mix lettuce and red pepper hummus. Similar to the Farmer’s market salad, I thought the bell peppers made it stand out. $2.99. Turkey chili: With lean turkey, carrots, tomato, onions, kidney beans and bell peppers. The consensus seemed to be that it needed a little more spice. $1.99. Bruschetta chicken: Whole wheat pasta with chicken breast, parmesan cheese, sunblushed tomatoes and sweet tomato sauce. Perhaps a bit too sweet for my taste. $3.99. Arroz con pollo: Seasoned chicken breast and rice with bell peppers, peas, crimini mushrooms and tomatoes. I liked the flavor. Others seemed to think it wasn’t authentic enough. $3.99. There are 10 other items in the line that we didn’t get to sample. I’ll leave that up to you to wander over to your local fresh & easy tomorrow and check ’em out for yourself. Prices are reasonable, with nothing over $4.99. While participants weren’t paid to be part of the taste-testing, we were given goodie bags (a canvas bottle bag) filled with a $1.99 bottle of their new Saludas Spanish red wine, a coupon for $5 off when you spend $20 at fresh & easy and a $25 fresh & easy gift card for attending. Follow the jump for pictures. Update: The folks over at fresh & easy have posted on their own blog about the event, and have included links to writeups from Dine 909 and some the other bloggers who attended. Click here to read it.